Rich the Kid has been cooking up his debut album for over a year and counting, finally sharing the fruits of his labor this weekend. His highly anticipated project, The World Is Yours, features appearances from a star-studded array of artists, including lil Wayne, Kendrick Lamar, Khalid, Chris Brown, Rick Ross and Quavo, among others. Last month, the rapper got into a bit of hot water with Lil Uzi Vert, with the two trading shots on social media regarding singing to a label run by another rapper or DJ. 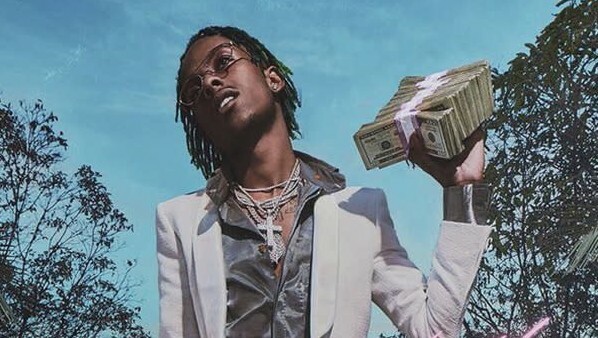 However, as exemplified by Rich the Kid's recent social media behavior, he has long forgotten the rift. In a new Instagram post celebrating the release, the rapper couldn't contain his emotions, filming himself while crying and thanking fans. Take a listen to Rich the Kid's debut album, The World Is Yours, below. Stream Kendrick Lamar's new album "DAMN."